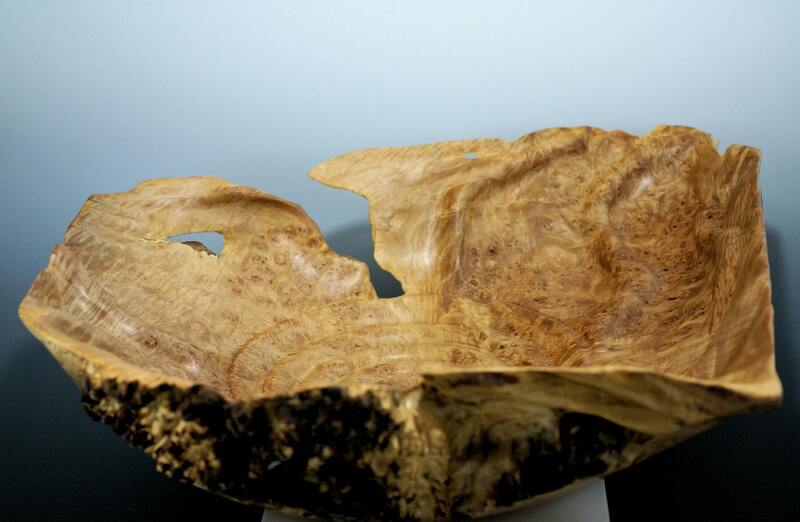 Hand made one of a kind wooden center piece for your home or office decor made from a very large piece of Maple Burl. 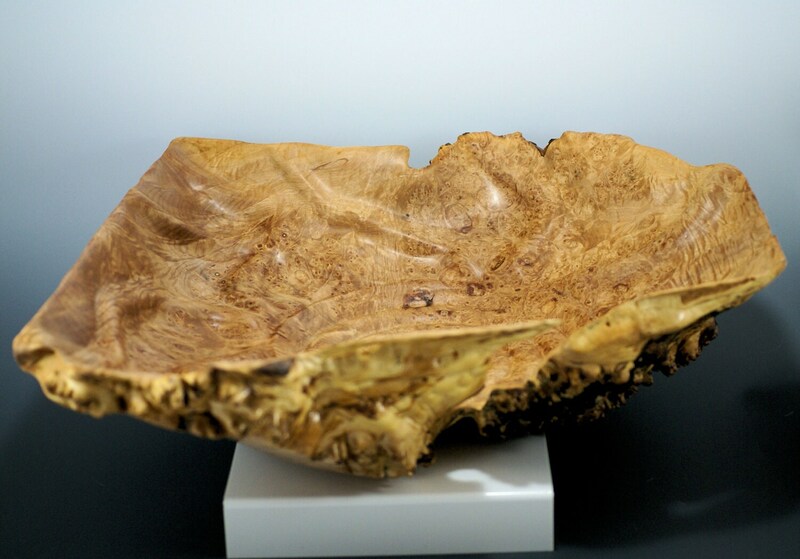 I turned this piece first and the carved to achieve a reflection of nature at its best. 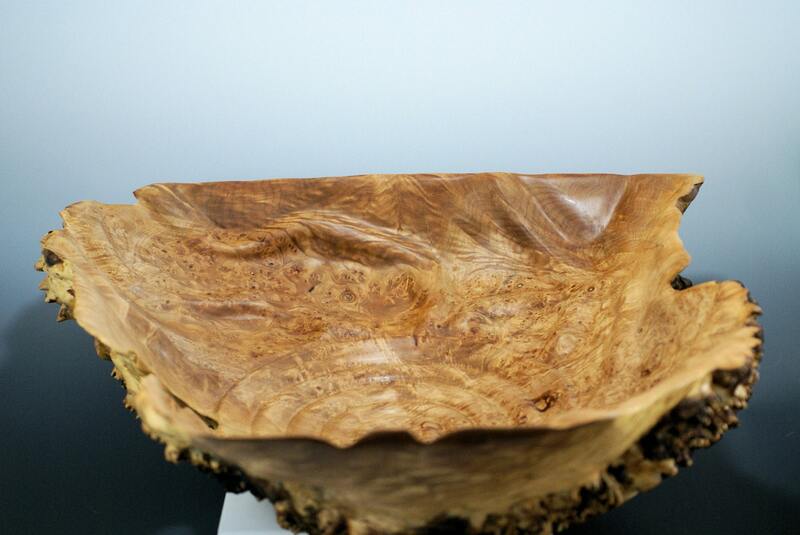 There are days of sanding and weeks of work to bring this piece to where it is today. It has a natural finish that you will love. 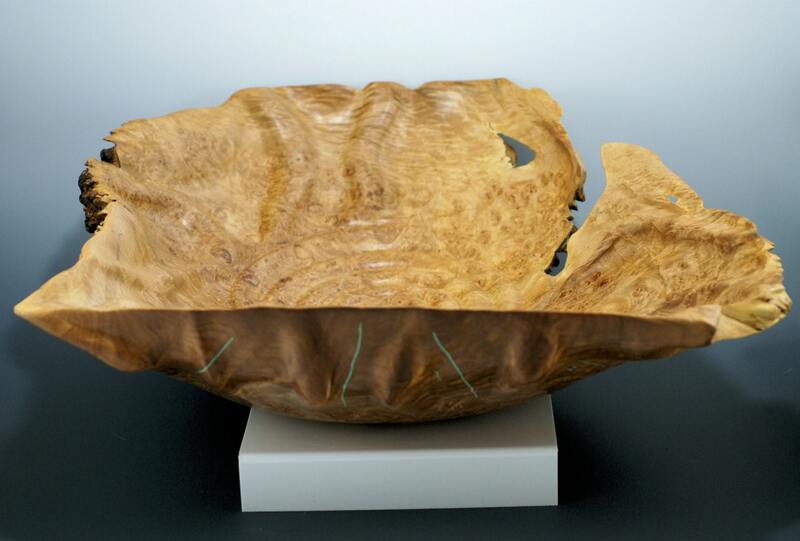 It is 21" by 20" and 6 1/2" tall and weighs 11 1/2 lbs.